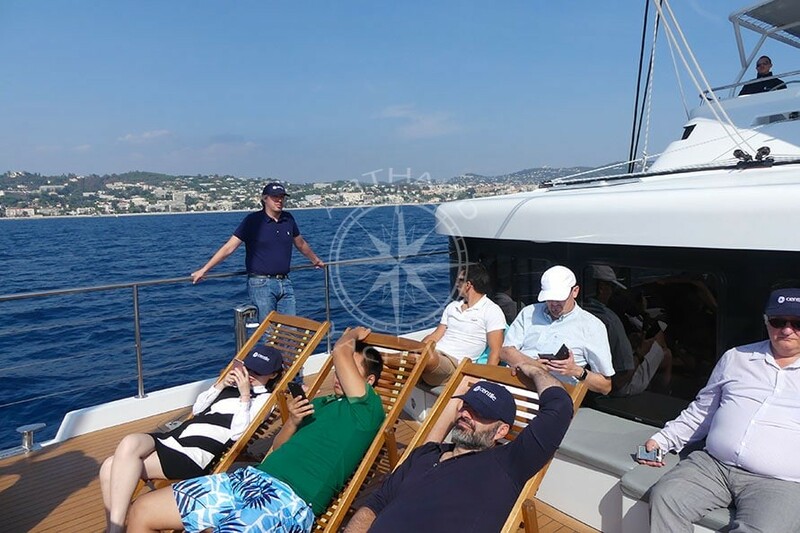 Mission accomplished for our clients who left their office in Sophia Antipolis on a sunny day in September just in time for a little cruise on-board a maxi catamaran. 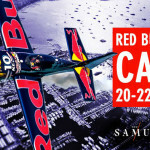 The necessity to add a second boat in order to welcome all the participants only furthermore highlights the success of this event for the various collaborators and their guests come from all over the world especially for this occasion: a VIP event, with first row seats to follow the Royal Regattas in Cannes. 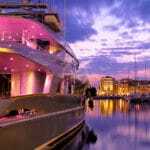 Embarkation in Cannes for a cruise amongst the prestigious regatta sail boats with a majority of century old vessels; a grand show which allies sumptuous varnished woods, ancient sails, and united sailors. We didn’t hope for more than this immense play ground in the beautiful Bay of Cannes and the famous Lerins Islands in order to decide between the eighty traditional yachts each fighting for the final victory of the Mediterranean track themed with the colours of the Italian watchmaker Officine Panerai. 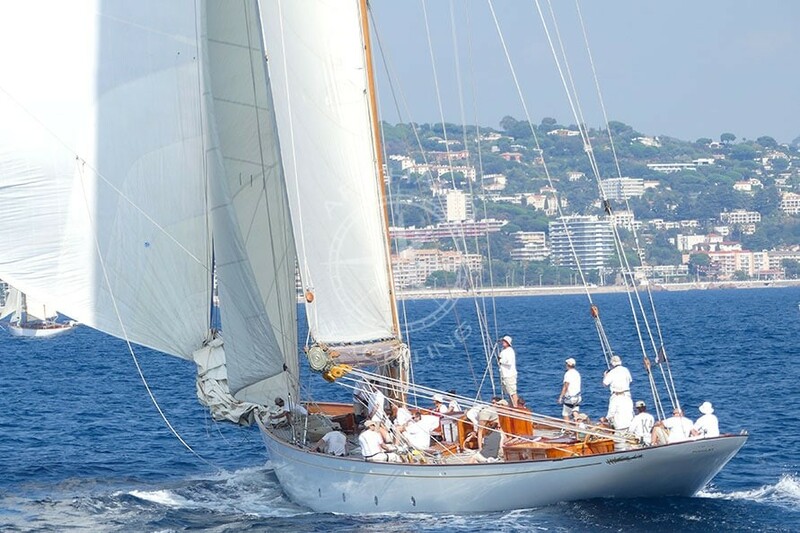 The collaborators of Arthaud Yachting are personally linked with the Cannes Yacht Club and the Royal Regattas, which is why it is a great pleasure for us to share our knowledge and passion for the traditional sail boats and the history behind the regattas. A perfect day with the sun shining as bright as the smiles on our passengers’ faces, proof that this exceptional day following the Royal Regattas in Cannes was a very special occasion for our engineers who left behind their world of telecommunication in order to focus on more of a human relationship whilst sharing their admiration of these historical vessels reaching up to 50 meters long. As some of our guests had come from far, it was unthinkable that this maxi-catamaran cruise not stop over on the Sainte Marguerite island for a visit of the fort with its panoramic terrace offering a breath-taking view on the Croisette, the Palm Beach, all the way round to the Cap d’Antibes and the mountainous Esterel, without forgetting of course our stars of the day: the regatta sail boats. The famous prison of the Man in the Iron Mask was also a pit stop planned as part of the tour in order to complete the discovery of the island. 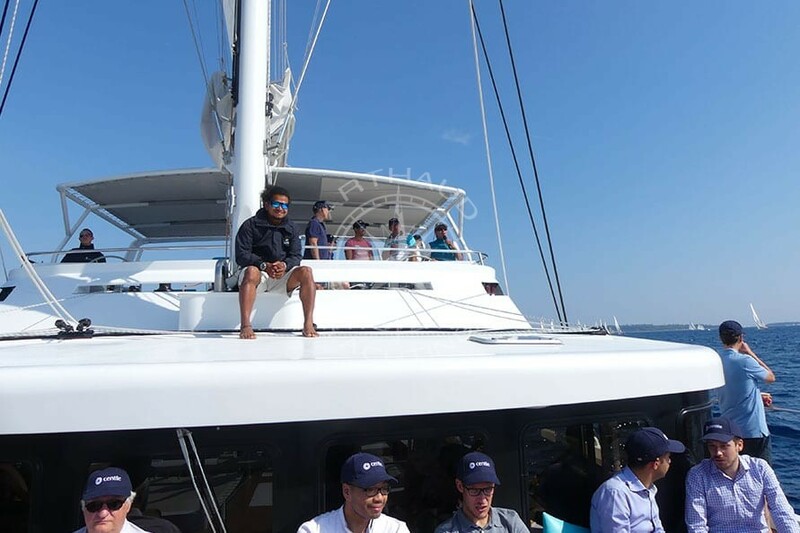 Once back on-board, the trek around the island has left place to the rumbling stomachs of our guests, the professional crew on-board the maxi catamaran has prepared a friendly buffet filled with local flavours. Prepared directly on-board with fresh products from local markets, the carpaccio prepared with the tuna fished on the way was a true success appreciated by the jury ! A last dip in the crystal waters between the islands, choose your activity: snorkelling , kayak, paddle… Over so soon, it’s time to get back on-board and regain our front row seats of the Royal Regatta just in time to witness the victory of J Class Mariska who managed to beat Cannes’s very own Cambria and Hallowe’en in the big boats category. 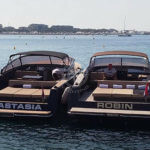 Our maxi-catamarans in Cannes are ideal for your companies’ projects : clients, collaborators or prospects will be welcomed on-board by professional crews whom will know to guide you to the most beautiful bays on your itinerary for a successful and enjoyable maxi-catamaran cruise. In addition to the various nautical activities available on-board, you will find yourself in a comfortable and relaxed atmosphere, a synonym of the maxi-catamaran experience: sound system, flat screens, catering with our barbecue buffet options, sanitaries, relaxation area, and for some units an additional floor which allows guests to enjoy the view from a higher point. 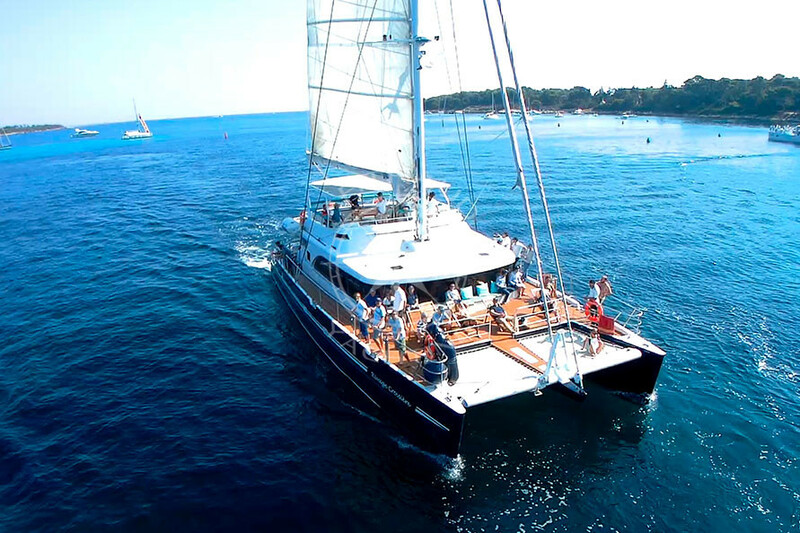 With a vast choice of boats at your disposal, Arthaud Yachting will propose the maxi-catamaran that best matches your needs for your day cruise with your family, or for your professional conference in Cannes, with the possibility to welcome groups up to eighty people. 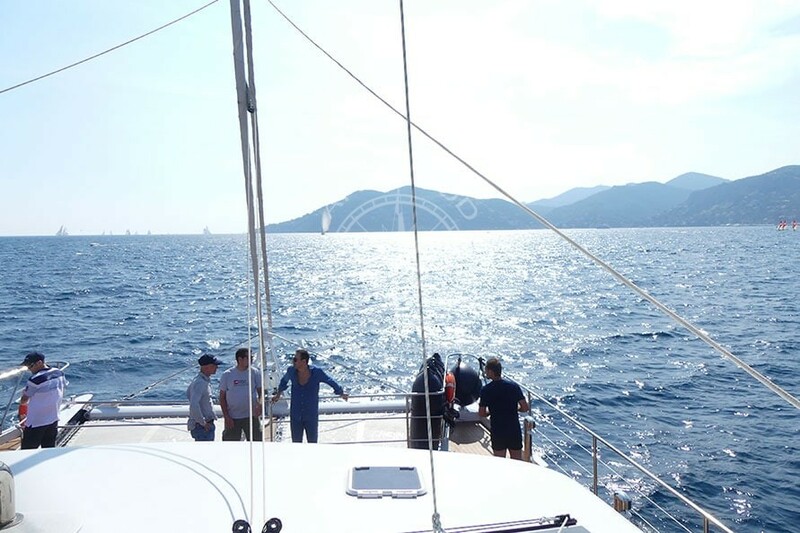 Contact Arthaud Yachting for your next maxi-catamaran cruise in Cannes and assist to the nautical events of the French Riviera as a VIP: Monaco Classic Week, the Cannes Royal Regatta, Voiles de Saint Tropez, Giraglia Rolex Cup, etc… Looking for more of an adventure? 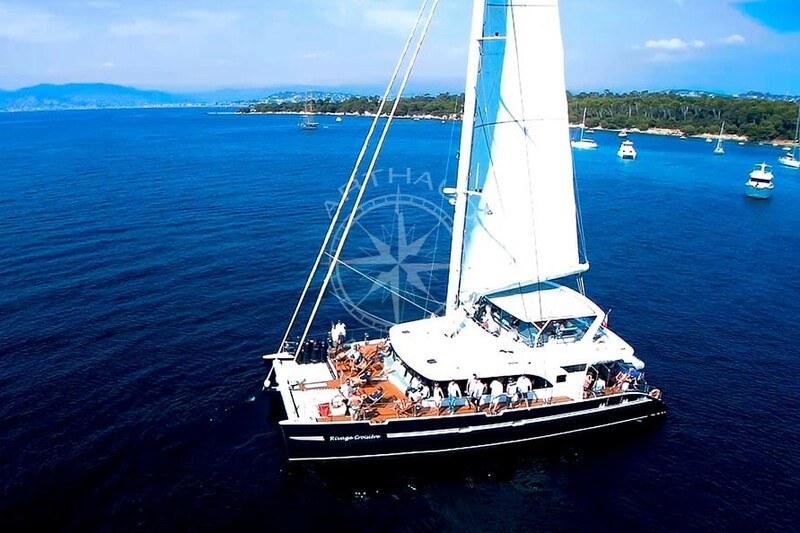 Arthaud Yachting allows you to experience a real regatta on-board their racing sail boats, contact us without further ado !